Hatch Homes offers a unique approach in an industry occupied by businesses who talk, walk, and look the same. Ever hear the following from other contractors? Say Goodbye to Chuck – in – a Truck, Stan – in – a Van, and Pete from Down the Street. Hatch is here to provide the next generation of remodeling services! Hatch ownership previously worked for the World-Wide Leader in Fiber Cement Siding. While employed with the manufacturer, Bill Gayler (owner) instructed other contractors on how to properly install cement-based siding products to ensure quality craftsmanship and warranty coverage for homeowners. Hatch has siding replacement experience in all 50 states – including North Carolina, South Carolina, Virginia, Tennessee & Georgia. 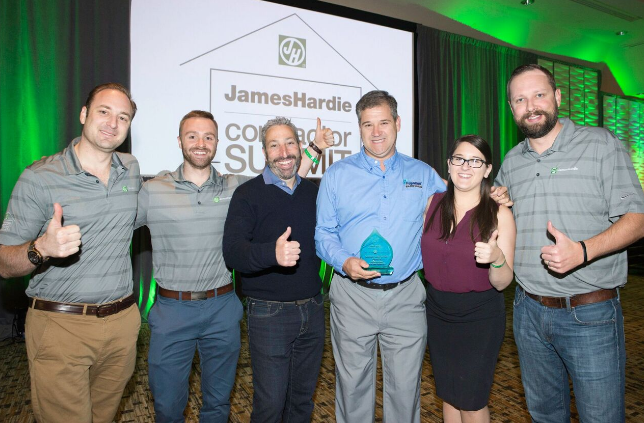 We attended the 2017 James Hardie Contractor Summit in Phoenix, Arizona. Bill had the pleasure of consulting for and learning from some of the best contracting companies in the country. Hatch is uniquely equipped to deliver a dynamic customer experience and provide top quality remodeling services which are built to stand the test of time. Every company says that they are innovative. Few actually mean it. Our business was built to meet the changing demands of today’s homeowner. No time for countless sales calls with several remodeling companies? No Problem! Hatch offers virtual consultations. Let’s plan, design, and finalize your project from the comfort of your home! In other words… while not required, Hatch allows you to build your dream home in your pajamas! What a time to be alive! Get what they pay for. Only pay for what they need. “If it ain’t broke, don’t fix it.” We agree. 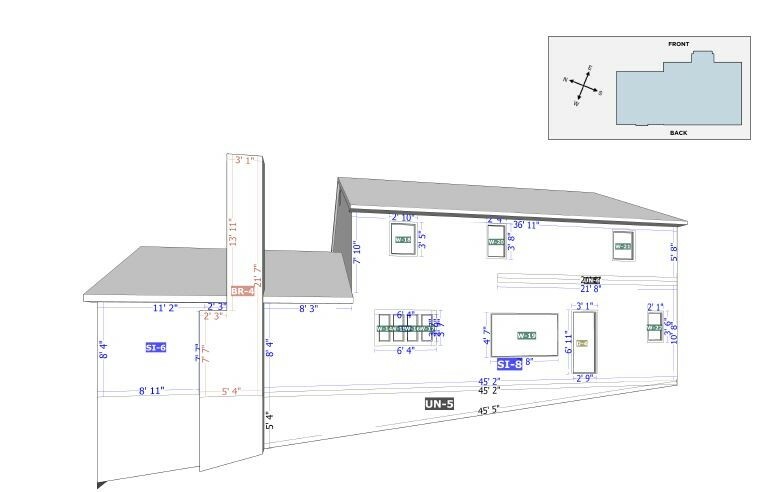 Unlike many contractors, before our Project Estimators have a conversation with you about WHAT products you need, we run tests to determine IF you need any products. Common sense, right? 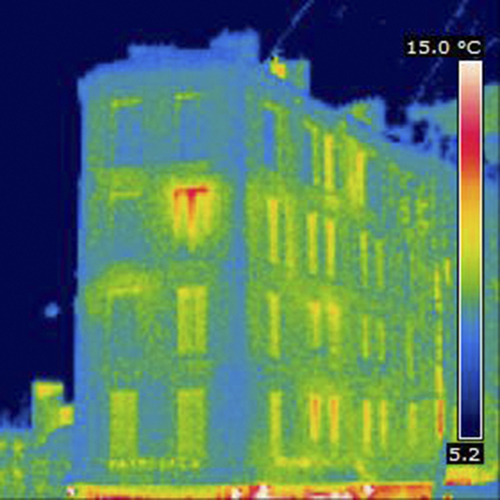 Curious how much heat you are losing in the winter and AC you are losing in the summer? We are too. 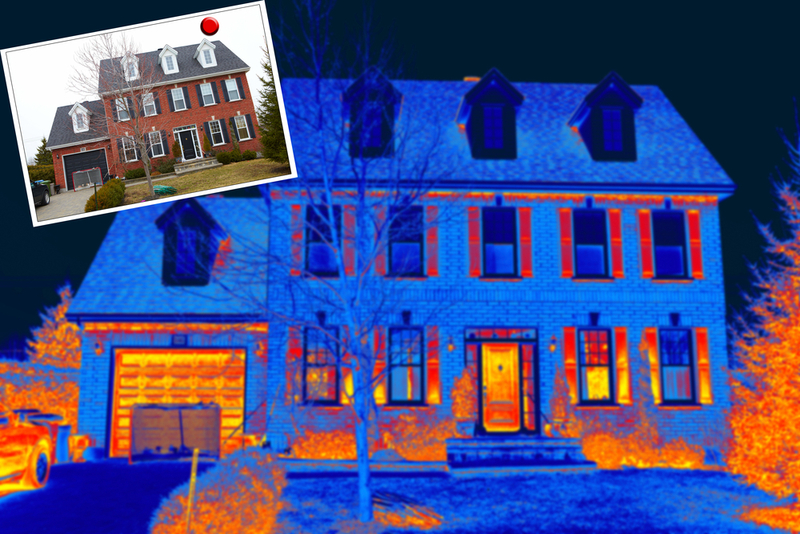 Before you decide to replace your current windows, doors, or roof, Hatch is happy to provide complimentary thermal imaging for your home. Identify which areas of your home are problem spots BEFORE ripping out windows and roofing shingles. While replacing all of your windows can look incredible, sometimes it is more cost-effective to only replace those that are failing. Hatch provides our homeowners with the ability to save money on their project and secure significant Return on Investment for their remodeling project. It’s one thing if a contractor hops on your roof and tells you that you need a new one. It’s a different story if the contractor physically shows you the damages of your home’s current exterior. Hatch provides homeowners with informative video footage of exactly what the project consultant sees during the inspection. Want to see the world through the eyes of a contractor. Of course you do. Now you are able to! Most contractors measure your home by hand. This method is inexact. To compensate, contractors order significantly more material than they need to complete the project. The cost of this material is passed on to the customer. We use software that measures your home with a guaranteed margin of error less than 5%. This is half of the industry average of 10%. When contractors measure by hand, sometimes they underestimate and the customer wins. Sometimes they overestimate and the contractor wins. At Hatch we measure correctly so that the price is correct for both parties. Whether you are just looking to replace your current siding or you want to radically transform the aesthetics of your home, Hatch can deliver the design of your choosing. Let’s face it. Contractors do not have the best reputation in the world. Why? Hatch is proud to offer our homeowners with an alternative to the industry norm. Our unique process provides peace-of-mind to our clients by taking you behind the curtain. We share our pricing, production plans, and project scope. The technology that Hatch brings to the job site saves our customers money! While replacing the existing siding, many contractors would attempt to upsell windows to the above property owner. At Hatch, we would suggest only replacing one window. Any idea which one that might be? We believe in a consultative approach. Hatch would love to become a partner in your remodeling project. No hidden costs, No high-pressure tactics, No tricky contract language, NO SURPRISES!